In previous weeks I have posted on why an athlete should employ an S&C coach (Click Here) and another one on how much should junior athletes should train (Click Here). This blog is a follow up to the first two- it’s a bit of a sneak peak to APA’s next workshop. 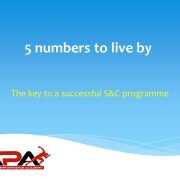 We always kick off the school term with our FREE workshop, entitled 5 Numbers to Live by. Athletic Performance Academy (APA) Director Daz Drake will be delivering a workshop called, ‘5 Numbers to live by.’ This workshop will bring together the presenter’s extensive experience and background in the field of youth coaching to give the participant a thorough overview of the key ingredients of a safe and effective strength & conditioning programme. This half day workshop will be split into two parts and will include theory and practical sessions. Daz Drake is currently Head of Strength and Conditioning at Gosling Tennis Academy and is Director of Athletic Performance Academy who consult with numerous sports organisations in the south of England. 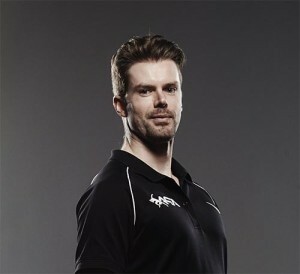 Daz currently looks after the S&C programmes of some of the top ranked male professional Tennis players in the country. Registration for the event is online. All details for the event will be sent out to you after registering. p.s on the last point on the optimal number of hours of S&C I would like to shout out to my colleague Howard Green who wrote an article on the rationale for why his Tennis athletes will be doing a Training block this September. Check it out HERE. He also put a journal article out there with our colleague Jonny Fraser. Nice work all!